How Associations Are Staying Relevant With Members & Growing Revenue. Since the rise of online courses and digital communities, association directors have found it difficult to keep memberships and revenue from declining. While some associations have built out digital and online programs from scratch, there are many association directors who lack the digital know-how to create such a program for their members, and attempting to figure it out takes away time from what they do best-helping their members become more successful. process, designed specifically with associations and their professional members in mind, directors can help their members dominate the social media newsfeed in as little as two weeks. The program is simple to implement and includes landing pages, training videos, resources to launch, marketing material and tracking systems for onboarding. These tools make it easier than ever for a director to quickly provide a quality program for their members. Most members are already purchasing digital solutions and, unhappy with their product, are actively seeking alternatives. Your members already like and trust you, so by providing them with an online program you are helping to solve one of their biggest pain points, making them more successful and growing your association’s revenue – all at the same time. 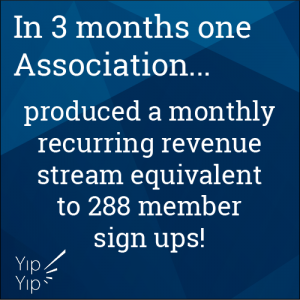 In fact, one of our current associations produced a monthly recurring revenue stream equivalent to 288 member sign ups. mark-up and still provide your members with a product that is 3x less expensive than what they’re already paying for digital solutions. 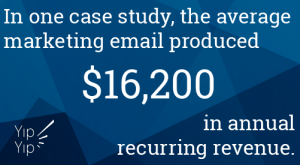 In one case study, the average marketing email produced $16,200 in annual recurring revenue. A program like this is a win-win for everyone. Your association will increase revenue by solving one of the biggest struggles your members come up against – their online presence. Membership retention and attendance will increase and your members will be more successful than ever, which isn’t that why you do what you do to begin with? Are you ready to earn revenue by helping your network of professional service providers become more successful? Click here for more information and to schedule a demo today!